Both messages, however, resonated with Canadians, the Leger poll suggests: while a substantial percentage of respondents agreed the Liberal deficits were bad, many also expressed support for the centrepiece spending measures featured in Tuesday's spending blueprint. A large majority also voiced support for some big-ticket items in Tuesday's budget, including a plan to expand high-speed internet to remote and underserved areas of Canada, which garnered the support of 76 per cent of respondents, and a suite of measures to help workers to learn new job skills, which got a thumbs-up from three quarters of those polled. As for the budget itself, 12 per cent of respondents said they were satisfied, while 19 per cent felt the opposite. The remainder of respondents either said they didn't know, or remained neutral — an amorphous body of swing votes the parties will no doubt be courting as the election clock ticks down to October. 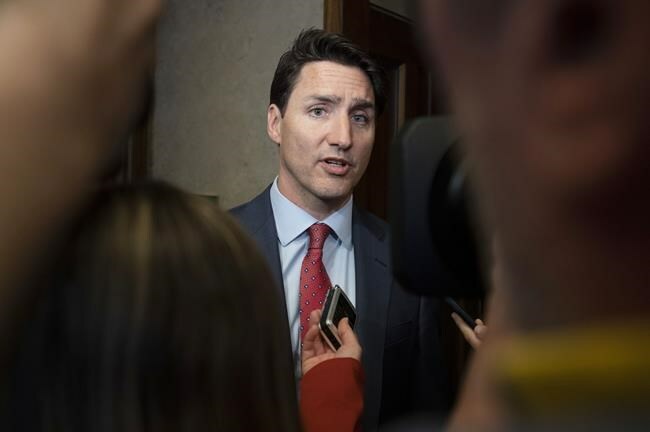 "If you're the Liberals, the clear story is to say: 'Well, we needed to go into deficit to help the economy and do all of these great things that you agree with,'" said Leger executive vice-president Christian Bourque. "The story for the Conservatives is to say: 'It's not right. We can't do this, period.' So I believe we'll hear a lot about not necessarily the budget, but about public finances more generally in the weeks to come. And I think that will be a ballot-box question." Leger's internet-based survey, which cannot be assigned a margin of error because online polls are not considered random samples, was conducted March 19 and 20 using computer-assisted web-interviewing technology. It heard from 1,513 Canadians who are eligible to vote and were recruited from the firm's online panel. The results were weighted to reflect age, gender, mother tongue, region and level of education to reflect the makeup of Canada's population. NDP Leader Jagmeet Singh, who made his debut in the House of Commons this week, stood at eight per cent while Green party Leader Elizabeth May was supported by seven per cent of respondents. People's Party of Canada Leader Maxime Bernier came in at four per cent. "It's as if right now there is a bit of a void in terms of leadership," Bourque said. "There's not one clear person who's driving support like Jack Layton did in 2011, like Justin Trudeau did in 2015 … who is kind of pulling support up for their political party."